For a grand tour of the world's finest Tulips and a sensational source of cut flowers at a great price, look no further. Our Dutch grower has updated the selections and colors in this mix of 50 different varieties to reflect a range of newer, more elegant Tulips in even softer shades of pink, melon, cream, and lavender. The result, in the garden, is worthy of Monet. This year we were able to secure a significant discount on this premier mix and are passing the savings along to you. Not labeled. 50 bulbs cover 12 sq ft. Exclusive. The very name Tulip is magic, for everyone knows this fine genus. We call these gay flowers the “lipsticks of the garden” because they provide a finishing touch that brings spring borders to life. Plant Tulips in well-drained, good garden soil. Full sun is recommended (at least 6 hours or more). For more information on the growing and care of Tulips, click Growing Guide. Usually I select tulip collections and coordinate the time of bloom, height and color. I replant annually for the best color (use tulips as annuals). Last year I tried this mixture in one of my garden areas and it was lovely, and without the bother of marking the areas for the planned design etc. 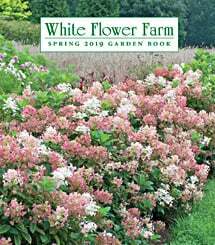 This past year 2018, I used them in all of my gardens, and they were as advertised, diverse, with regard to color, time of bloom, type, height, and lasted for fully 2 months. It was worth the effort to plant thousands of them . Some came up with the daffodils, and some a month later with the allium. The show of color was worthy as many cars stopped to photographic my gardens. Love them! (the deer do too so if you have deer, you have to ask yourself if you want to go out daily and spray them to prevent a deer banquet-- Please do not plant them if you cannot spray effectively for deer). I have a plethora of deer, but armed with an organic spray can have a full tulip garden-- I spray daily and right after a rain. This is the second year that I ordered this mixture and it's even more beautiful than my last year's planting. The mix of colors and varieties makes this a stunning collection. I think I will order it for a third time next year ! This collection has been the most fun to watch . The varying shapes, colors and bloom times have made this a never ending delight to watch. I've already ordered this again for next year! It looks like the photo (and bulb selections) for this pastel bulb variety changed from last year. The pastel colors in last year's photo is more monocrymatic. The bulbs recieved reflect the new photo, just not what I was looking for or what was pictured. I will pull up the bulbs and cluster them with like colors in another area in the yard next year. I planted these bulbs in the front yard in the fall. They came up beautifully this spring. A great mix of colors, heights, and species.